Recycled brass pendant on brass chain. ø 22 mm. Hand-stamped in Germany. Available in 6 variants, sent by fremdformat. We have done it again, teamed up. Just like the colors in the rainbow, we also believe that we are simply more beautiful together. So we simply asked our favorite jewelry label fremdformat whether they would like to design their wonderful brass chains to match our new Rainbow Collection. Did you know that every color has meaning? We are so excited about it that we want to say it loud and once again celebrate the deep bond between everything that surrounds us between heaven and earth. Let’s appreciate our colorful world, all the diversity and all our commonalities. Choose your favorite color and let us look more shiny together. Recycled brass pendant on brass chain. ø 22 mm. Hand-stamped in Germany. Care: Brass and copper´s natural tendency is to darken over time. Try not wearing your jewelry in the shower or during a workout. Good to know: Each piece is handmade and unique. For this product, every letter is stamped into the metal by hand. 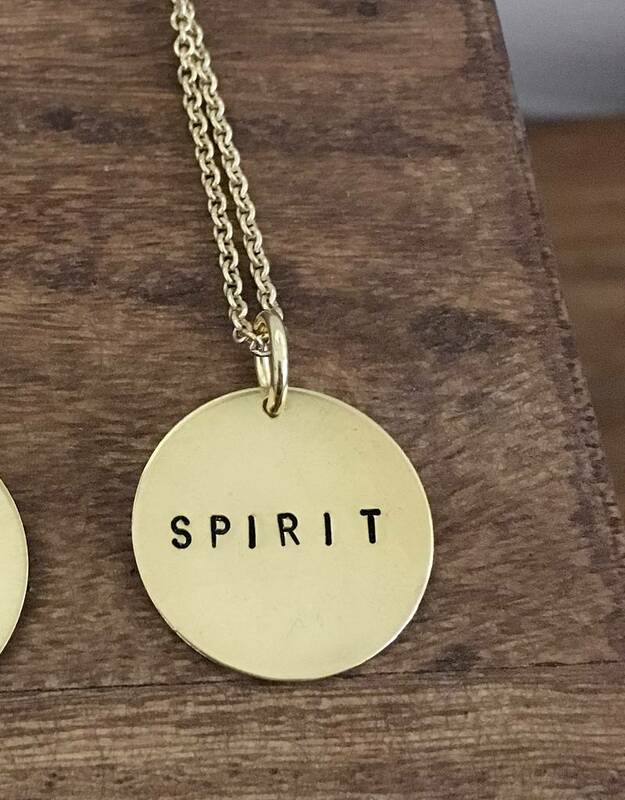 This technique causes the letters to be slightly visible on the back of the pendant.